Republican Pennsylvania gubernatorial candidate Scott Wagner went after his opponent, Democratic Gov. Tom Wolf, in a Friday video vowing to drive Wolf out of office. “Governor Wolf, let me tell you, between now and November six, you better put a catcher’s mask on your face because I’m going to stomp all over your face with golf spikes because I’m going to win this for the state of Pennsylvania and we’re throwing you out of office” Wagner said in the video. The state has become a battleground over abortion, with Wolf and Wagner diametrically opposed on the issue. Wolf has vowed to protect women’s access to abortion, particularly after the appointment of Judge Brett Kavanaugh to the U.S. Supreme Court. “This issue is the woman’s right to choose. 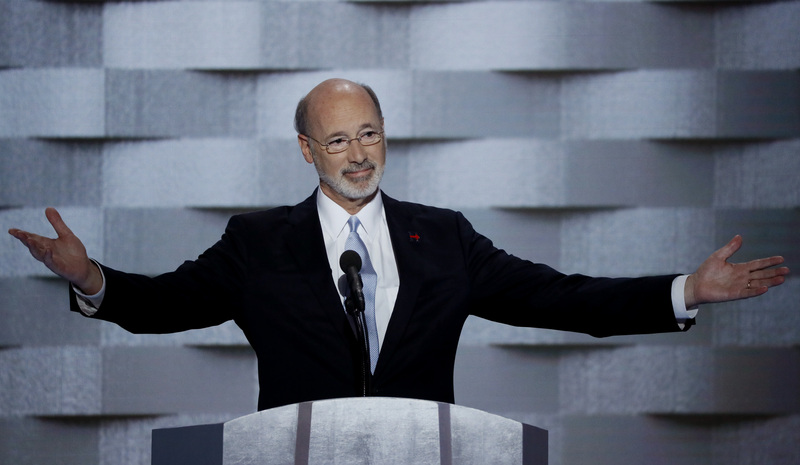 It’s about the choices that the person most directly involved makes,” Wolf told PennLive Monday. Wagner is staunchly pro-life and has co-sponsored a bill banning Down syndrome abortions. He also favors banning abortion after six weeks. “Scott Wagner is a danger to Pennsylvania women and families and he does not deserve to be in the governor’s office,” Planned Parenthood Pennsylvania Votes executive director Sari Stevens said, according to PennLive. President Donald Trump has endorsed Wagner for governor. The Pennsylvania Chamber of Business and Industry has also endorsed Wagner for governor.